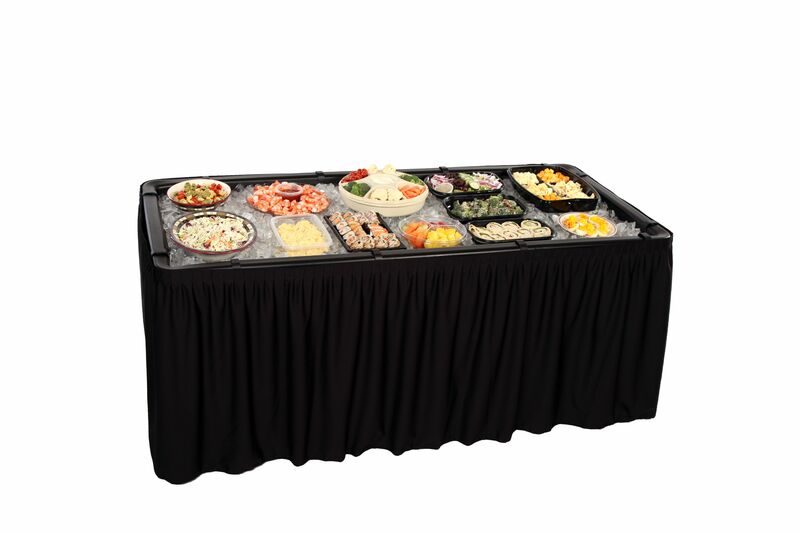 Our skirting is 29″ high and is custom made to go around all four sides of the FILL ‘N CHILL® PARTY TABLE and the LITTLE CHILLER™ TABLE as well as similar sized tables made by other vendors. 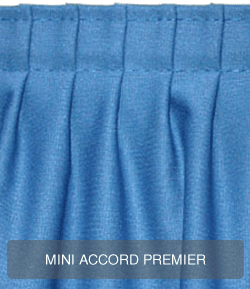 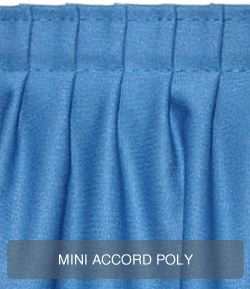 Our skirting is available in mini-accordion and shirred pleat styles, and is made of Polyester Knit (100 percent polyester and is available in Black and White) and Premier Fabric® (100 percent, top-grade polyester treated with “soil release” for easier cleaning, and is available in Black and White). 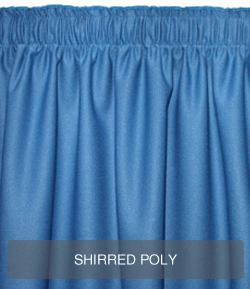 Both fabric types are easy to maintain and are treated to meet NFPA 701 (Rev. 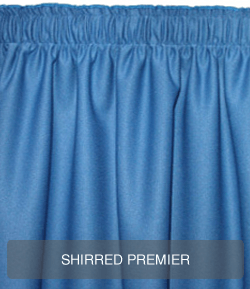 1989) and California Fire Marshal flame retardant requirements. 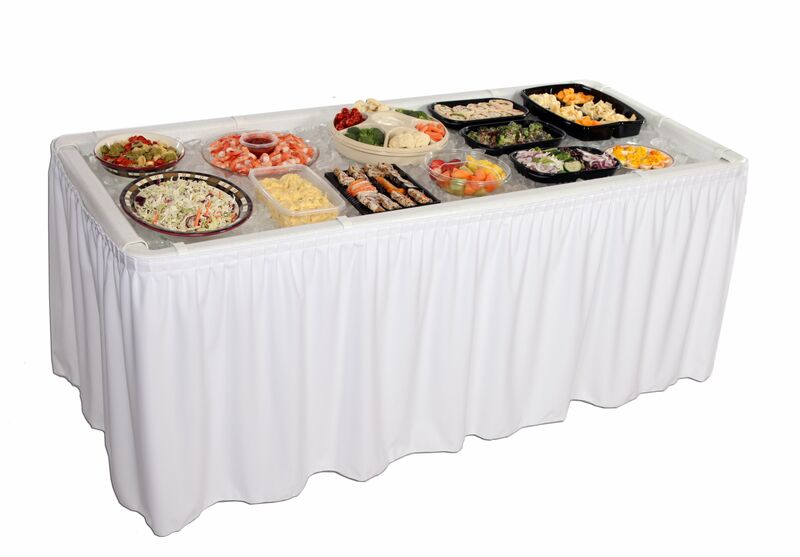 Skirting clips make it easy to attach skirting to your FILL ‘N CHILL® Party Table.